Rely on continuing education that's specifically targeted to all aspects of the continuum of care. Provide the focused continuing education that your long-term and skilled nursing care providers need to reduce readmissions and deliver patient-centered care for a complex population of patients. Give the training they need to stay certified and abreast of changes in the field, no matter where they’re located. And see reduced employee turnover, increased patient satisfaction, and family communication. Our unrivaled content supports your efforts to earn and maintain quality designations. It also keeps healthcare professionals on top of changes in clinical practice. 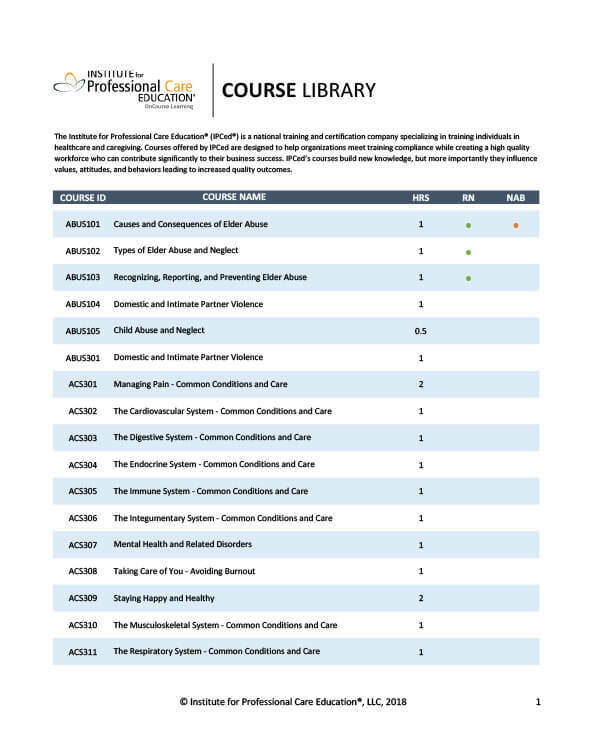 Leverage OnCourse Learning’s expansive catalog for the education your organization needs to meet regulatory standards. With courses on leadership, communication and more, OnCourse Learning increases critical thinking and helps your team stay in tune with the constant evolution in healthcare. "It is very informative and I would gladly recommend it to my co-workers." "Lots of information with good clinical application."